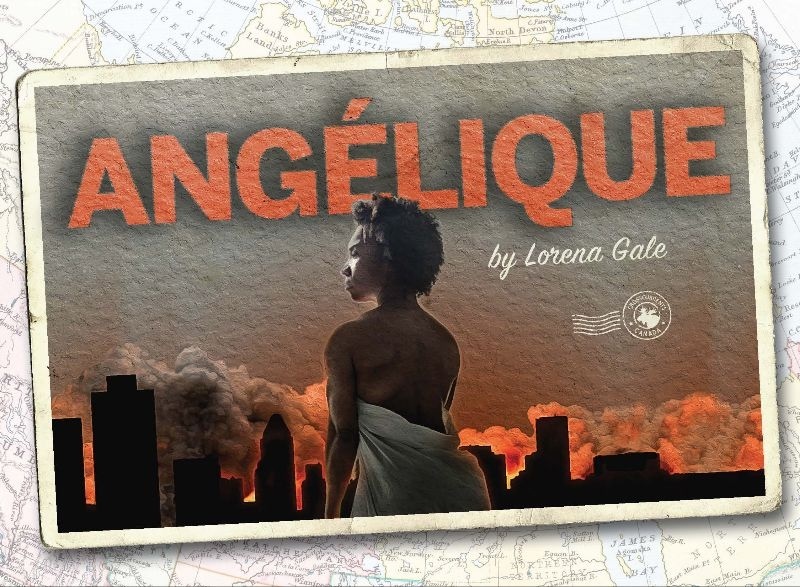 Details: Factory and Obsidian Theatre are excited to announce the Toronto premiere of Angélique by award-winning Canadian playwright Lorena Gale, directed by Mike Payette with a thrilling live score performed by SIXTRUM Percussion Ensemble. The cast, arriving in Toronto following an engagement at the National Arts Centre in Ottawa, features Jenny Brizard as Angélique, Chip Chuipka as Ignace, Karl Graboshas as François, Olivier Lamarche as Claude, Omari Newton as César, PJ Prudat as Manon, France Rolland as Thérèse. In 1734, Marie Joseph Angélique, an enslaved Black woman known for her outspoken disdain towards servitude and her masters, set fire to Montréal, completely destroying a hospital and dozens of houses including her owner’s residence…or so the story goes. Despite there being very little evidence against her, Angélique was convicted, tortured and publically hanged for her “actions”. Informed by historical transcripts from the infamous trial and set against the backdrop of Nouvelle-France, Lorena Gale’s award-winning musical play investigates Angélique’s life in the years leading up to the fire, seamlessly weaving between Canada’s oft-denied history of slavery to the timelessness of systemic racism in contemporary culture. Born in Montreal, Lorena Gale was an award-winning actress, director and writer who worked extensively across Canada. In 1998, Angélique, which was her first play, won the du Maurier National Playwriting Competition and was nominated for Outstanding New Play at Calgary’s Betty Mitchell Awards. In 1999, it was published by Playwrights Canada Press and received an off-Broadway production. Lorena Gale passed away in 2009.